In 2008—a year after Liam died—I called up fellow bereaved mom and friend Bon and asked her, “What do you think about starting a community for people who have been through what we’ve been through?” She gave a thumbs-up, we found our first cohort of writers, and Glow in the Woods was born. 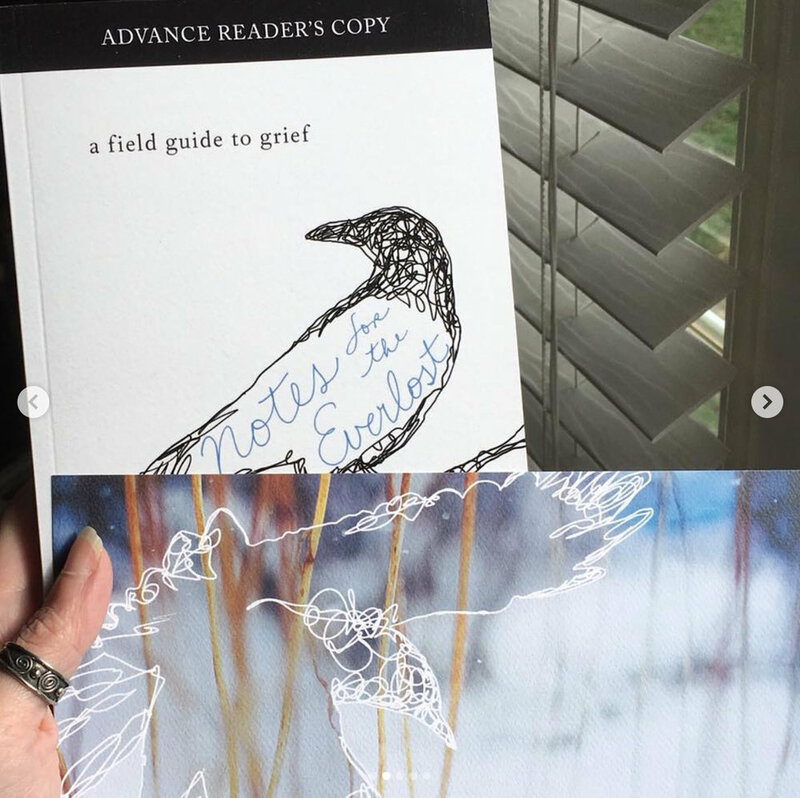 Just over a decade later, I am one week away from the release of my fourth book—my first for adults, and first non-fiction—NOTES FOR THE EVERLOST: A FIELD GUIDE TO GRIEF. I’m spinning. Nervous-spinning. Beset with twitches and dreams of falling and thick with memories and gratitude. Shambhala, my publisher, worked with me to prep for this busy season, and they said: We know you’re a photographer, and that’s great—how about videos? Readings, excerpts, that kind of thing. Can you do that? Always that same moment, the pause of the bereaved. How much can I say? How warm is this room? People don’t like the word ‘dead’ next to the word ‘baby’. They turn away, like some did in my days of Liam. How do I balance the need to be authentic, f-bombs and irreconcilable questions and all—with the need to be gentle, to be some kind of a beacon, a light, a warm room myself? This is our pause, always. When someone asks you how you’re doing, how many kids you have, if this is your first pregnancy. And that’s just the world, huh. That’s the pause we’ll always notice, even if nobody else does. And that’s okay. But we—Bon, me, that first beautiful Glow cohort and all the writers and readers who followed—need a place, too, where there’s no need to pause. That’s why I wrote this book. And that’s why this little excerpt was the first one I chose. I was thinking of you, of this place, of us. The internet has changed, the sharing and interaction has changed. But what this place means to me—to you, I hope—has not. It gives me the squicks, a little, to promote something here. I’ve never done that before. But I wrote this book for you, for us, and the thought of you reading it makes me feel like I feel when I’m here. In safe hands. Pre-order the book or buy everywhere one week from today—September 18, 2018—through your favourite independent bookseller or from any big retailer. Or, pop over to Penguin Random House Audio to hear me narrate the audiobook—same deal, with pre-orders anytime and a release day of September 18. A cross-continental crew of Glow in the Woods community members served as pre-release first readers for the book, and their pictures of the books as they received and read them—in Japanese restaurants, on subways, next to woodstoves, under quilts, cuddled by cats—absolutely made my year. I’ve got so much love and gratitude for all of you. I adore what you bring, on the discussion boards and on the front page, even just the silent readers who sit quietly here with us. Your presence has helped me and so many others. To the good feelings imbued by writing and words! Cheers, loves. Author, photographer, founder of Glow. Mother of three boys, one of whom died at six weeks old nine years ago. Nine years ago, I was someone else. Love and sorcery and poetry and terrible luck and wonderful luck.